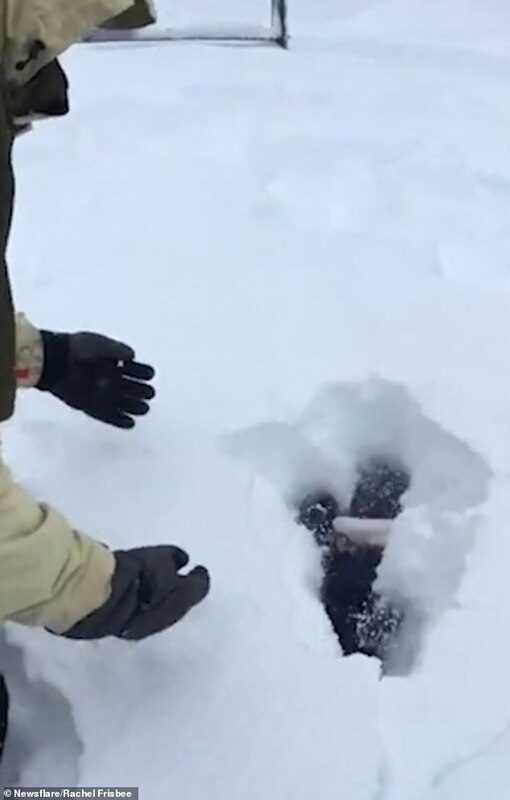 This is the moment a little boy vanished in around twenty inches of fresh snow after being playfully dunked by his father. 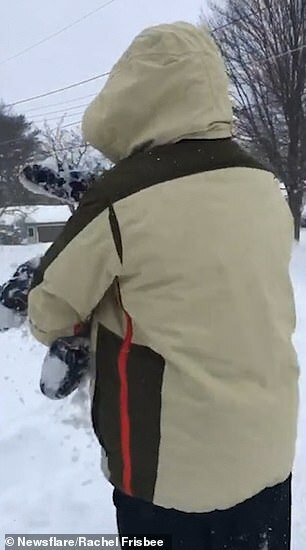 Adam Frisbee, from Jamestown, New York, was playing in the snow with his family when he thought it would be fun to throw his son in. 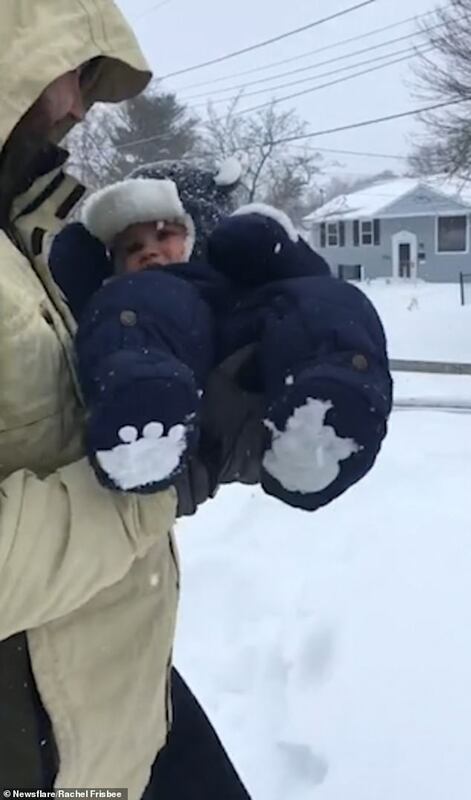 However, much to his horror, as the father throws his son onto the snowy ground, the baby is submerged in around twenty inches of the icy ground and completely vanishes. 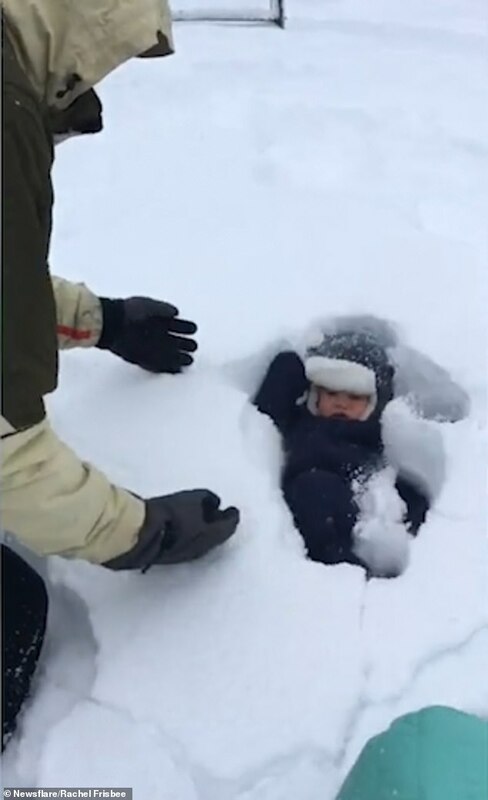 During the video, filmed on November 28, Mr Frisbee is seen lowering his baby son to the cold ground before dunking him completely into the blanket of snow. The infant instantly sinks beneath the layers of snow and his father immediately rushes to pull him out. 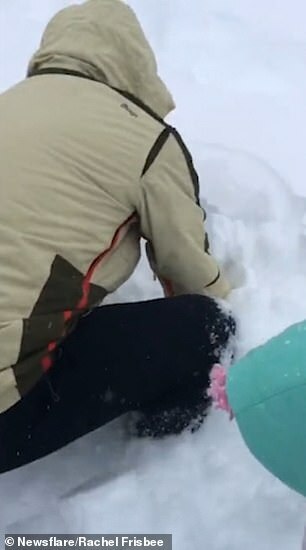 Mr Frisbee later posted the video on his Twitter page under the caption: ‘This is a few days late but I had my first #snowday as a @SWCSTrojans teacher this past Wednesday. Since it was posted on Twitter the video has received nearly six million views.